self discipling got limitation. haha. like that you overspend cannot blame anyone but yourself le.. haha! Identiti wrote: nothing to be afraid of pumping SPC, ok one. as for your parents, maybe it's your dad's preference ba. actually to convince them to sub one card for you, you can actually tell them to limit the amount to less than $500. but of cos, you have to control lor, and let that card be purely for petrol. so many people use SPC also nothing happen. I think it's individual problem. Identiti wrote: so many people use SPC also nothing happen. I think it's individual problem. no point if its so far away from your house I feel. very troublesome. The 18% of DBS + smiles pt. Haha. since i change already.. i think no point change back liao..
Not true leh, I've driven my 06 Civic for 5 yrs entirely on SPC & no issue till I sold it for this Elantra... maybe that friend's Civic got some other issues but not analyzed so straight away say SPC fuel caused the engine cui. But now, PT86, you pump spc? Yup, hv been using SPC for more than 6 yrs oredi. They are almost always the last company to raise their prices & recently even went against raising prices by same margins as the other 3... 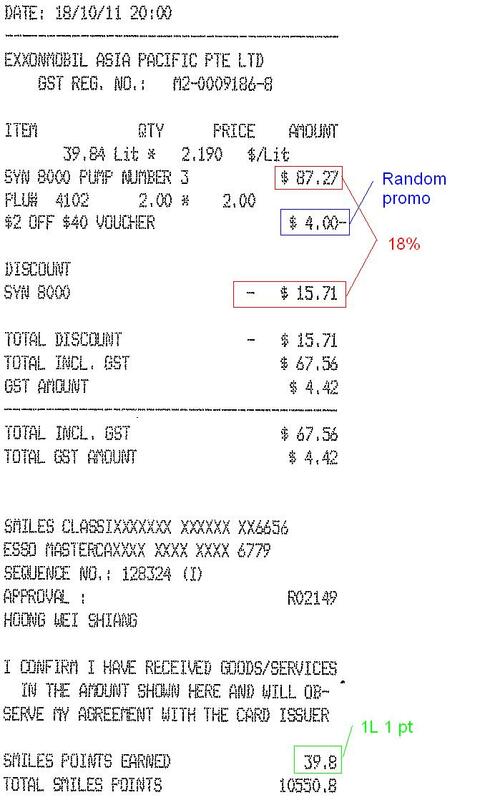 They offer quite gd discount with POSB Everyday card with SPC & U card also. the 10% is 5% smiles + 5% from the bank right?? By the way, its this card you refering? off topic but hello guys!! back from holiday with family already hehehe..
Aiyar, Citibank is just a call away and you can tell them to waive off the annual fees one. I have call them every year to waive off the annual fees whenever I saw it on my statement. Its not a problem. If you goondu goondu wanba piad the annual fees, then of cos nobody going to stop you.